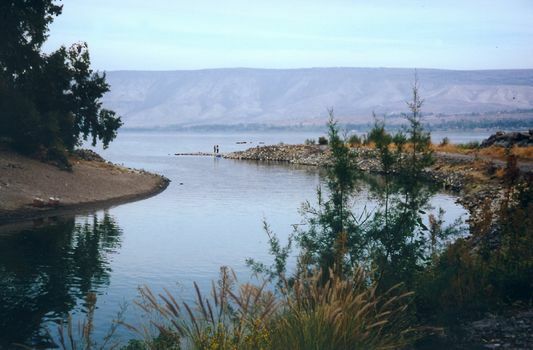 Here we follow the Jordan from Kinneret, alternatively known as the Sea of Galilee or Lake Tiberias, downstream along the fortified border with Jordan. 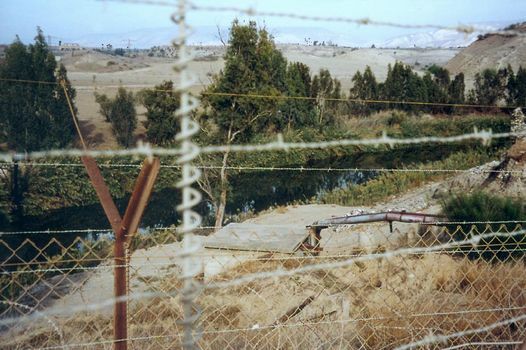 Kinneret was very low in 1999, when this picture was taken near the outlet. 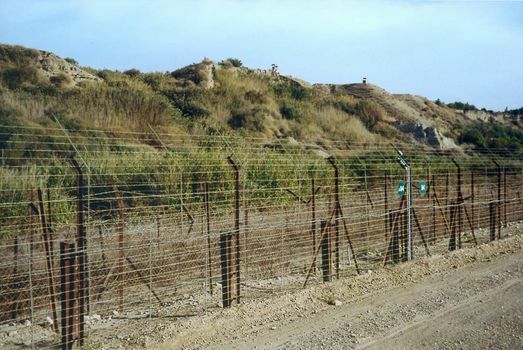 In the background: the hills of the Golan Heights. 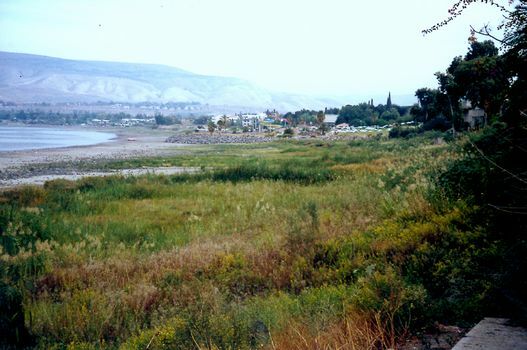 The Jordan River as it leaves Kinneret. It is already below sea-level but is headed further downhill. 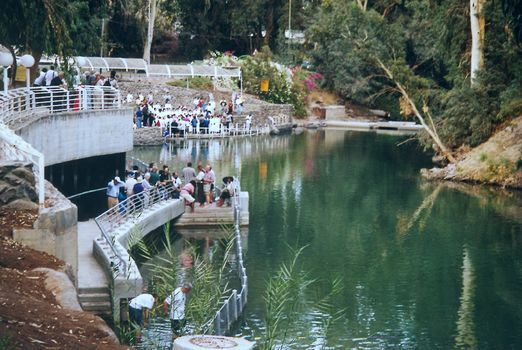 The banks of the Jordan River are almost completely inaccessible, but for a couple of miles below its outlet both side of the river are in Israel. 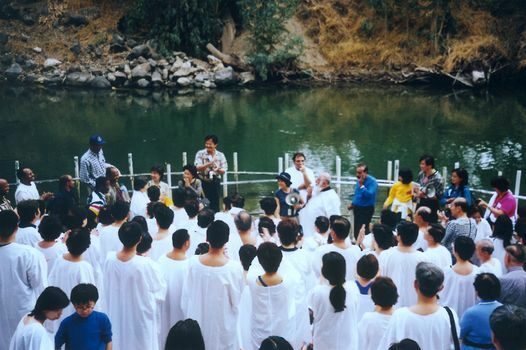 Groups of Christians seeking baptism in the Jordan come by the busload from around the world. A closer view of the larger group shown in the previous picture. All the earmarks of an American irrigation project from the 50s? 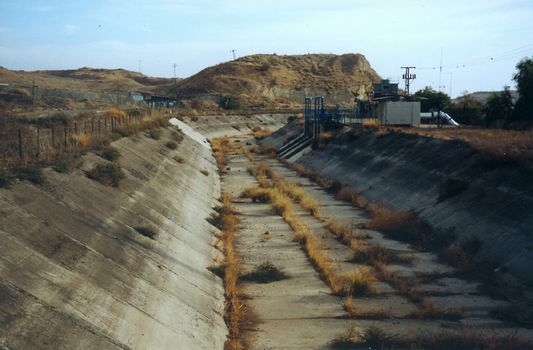 Well, it was probably financed by American foreign aid, but this canal, which once brought irrigation water from Kinneret to Jordan, has been dry since 1967. Once the river becomes the border--which happens very soon--even a glimpse of it like this is rare. 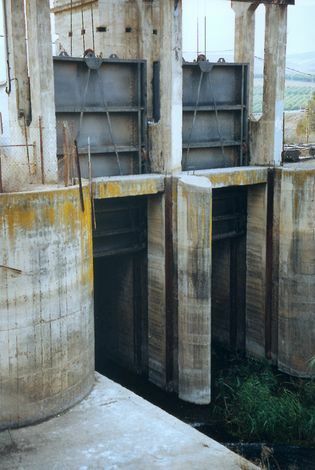 A bit of height allows a peek beyond, into the irrigated Jordanian side of the river. 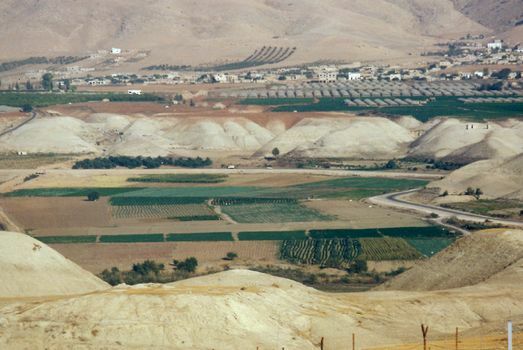 The irrigation water comes from the tributary Yarmouk River. 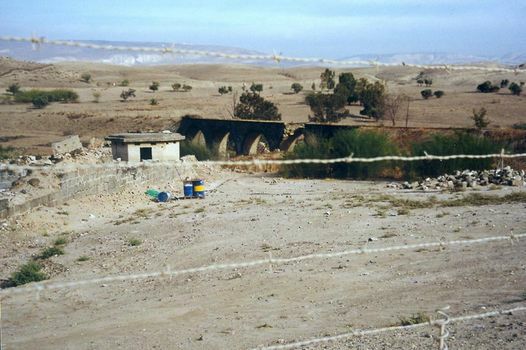 The long defunct Turkish railway from Syria to Haifa included this bridge across the Jordan, which is probably the lowest railway on earth. Closer than this you won't get.